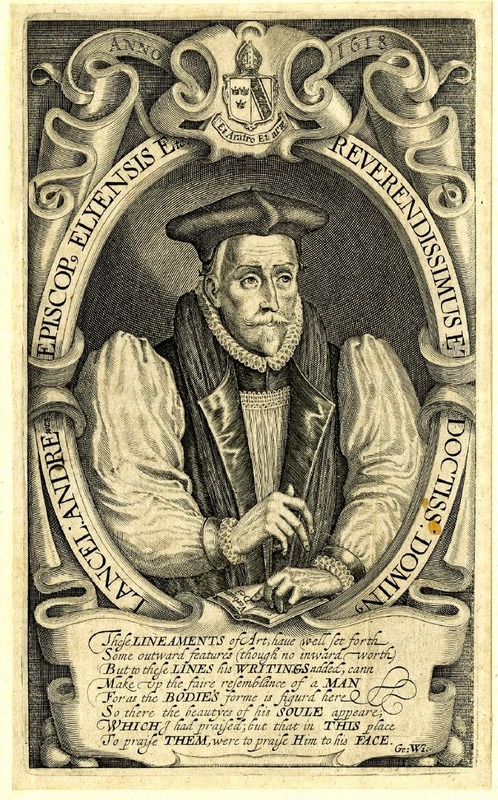 Image: Engraving portrait of Lancelot Andrewes (1555-1626) by Simon de Passe, 1618. 2. Quality of language translation - NASB The King James version is excellent, but we have since learned a great deal about both ancient Greek and Hebrew. Our understanding of Greek has grown significantly, particularly with the discovery that the Greek Bible was in common Greek, but our understanding of Hebrew has vastly improved since the 17th century, during which time the ancient Hebrew was very poorly understood. The NASB clearly benefits from a better understanding of the languages, and presents not only closer translations, but provides notes for certain aspects of translation, as discussed above. When the NASB and KJV differ on the rendering of a text, which is not based on variance in the manuscripts, the NASB is usually more favorable to the original languages. Also, slight variations in words chosen and sentance [sic] forms used throughout the NASB reflect our current understanding of Greek, Hebrew, and Aramaic, which has improved dramatically in 400 years. JTR Response: The author begins by acknowledging that the KJV is “excellent,” but he then proceeds to suggest that linguistic advances in understanding of the ancient Hebrew and Greek languages in the modern era (and, supposedly, the utilization of these advances in modern translations, like the NASB) have made the KJV outdated. I know it is a brief article and one aimed at a popular audience, but the major problem with this entire paragraph is the total lack of examples of these supposed advances and direct citations, examples, and comparisons between the NASB and KJV to prove this point. I would begin by challenging the whole notion that our understanding of the Hebrew and Greek languages has so dramatically improved since the time of the Reformation era that the old translations are obsolete. One might argue that we know more about some aspects of things like vocabulary, especially with the Hebrew Bible. I might have expected to have seen some mention of the KJV’s use of “unicorn” (modern translations prefer “oxen,” cf. Deut 33:17; Ps. 22:21; Isa 34:7); “dragons” (cf. “jackals,” cf. Job 30:29; Ps. 44:19; etc. ); or “peacocks,” (“baboons” cf. 1 Kgs 10:22; 2 Chron 9:21). Surely though, these differences (which were not even cited in the article) are minor. Need I raise again the specter of “peck-measure” (Matt 5:15 NASB)! The man was a library, the repository of sixteen centuries of Christian culture, he could speak fifteen modern languages and six ancient, but the heart and bulk of his existence was his sense of himself as a worm. People like Lancelot Andrewes no longer exist. It is because people like Lancelot Andrewes flourished in the first decade of the seventeenth century—and do not now—that the greatest translation of the Bible could be made then, and cannot now. While on this subject, I am not quite sure what is meant by the article’s reference to the supposed modern “discovery” that the Greek Bible was in “common Greek.” Surely the KJV translators could distinguish between the classical Greek of Homer, the Hellenistic Greek of the LXX, and the koine Greek of the NT. When I read this section, a verse came to mind that I had studied in some detail for an academic article I wrote several years ago for The Journal for Biblical Manhood and Womanhood on whether or not there are women prophets in Acts. My argument in the article was that although Peter quoted the well-known passage from Joel about sons and daughters prophesying in Acts 2:17, nowhere in Acts does Luke describe women serving in the office of prophet. As a sign of the new age, women could prophesy (the verb referring to a specific activity of the apostolic period) but they were not prophets (the noun referring to an extraordinary church office). In fact, the feminine noun “prophetess [Greek: prophetis]” never appears in Acts and only twice appears in the NT (Anna in Luke 2:36 and “Jezebel” in Rev 2:20). KJV Acts 21:9 And the same man had four daughters, virgins, which did prophesy. NIV Acts 21:9 He had four unmarried daughters who prophesied. NASB Acts 21:9 Now this man had four virgin daughters who were prophetesses. NKJV Acts 21:9 Now this man had four virgin daughters who prophesied. This comparison makes clear that the NASB translation varies from the others. The KJV, NIV, and NKJV all translate the final phrase as a verb (“to prophesy”). The NASB translates the same phrase as a noun (“prophets”). Which translation is closer to the Greek original? Here is the verse in transliterated Greek: touto de hesan thugateres tessares parthenoi propheteuousi. The final word is in fact a feminine nominative plural participle from the verb propheteuo, “to prophesy.” Clearly, the KJV (and the other translations), which renders the participle as a verb in a relative pronoun clause, is closer to the original text than the NASB, which renders the participle as a noun. One wonders why the NASB chose to translate “prophetesses.” Were they influenced by modern feministic and egalitarian readings of the NT which desired to find women in public church offices? We do not know. The point is that here is at least one example where the KJV provides a more faithful translation of the original than the NASB. Great post! I am not certain, but I suspect that the author's use of "common" in referring to Koine Greek had a twofold meaning. I think it was to illustrate his imaginative opinion that the NAS is more sophisticated because of supposed modern advances (I think many people are of the opinion that because of our modern technological advances, we must be superior in Education to the previous generations.). I also think it was another shot at the "Biblical Language" of the KJV. Because he is under the misinformed opinion that the KJV was written in Elizabethan English and not knowing it possesses its own form of English, I think that is a shot at the language form. He wants to drive home that the English in the NAS is in Common English just like the Greek was "common." I have heard that argument posed many times. One more thing about the language of the KJV. I have been reading through the "1599" Geneva Bible, and it is written in more "common" English than the KJV. It is my understanding that the KJV was written in the form it was written in intentionally. Nobody has "ever" spoken English like that of the KJV. It is a sort of "Biblical" English, written that way intentionally to be more accurate to the "original" languages. Thanks Phil. I took his statement as some reference to an improved modern understanding or "discovery" that the NT was written in "common Greek." Maybe the author will clarify this point for us sometime. I also think you are right that there is more to be said about the peculiar style in which the KJV was written and how it was not standard even for the times but was written especially to help the English reader understand the underlying original text. I tend to agree with Phil's comment on the Geneva Bible. I have found that in many instances, the Geneva version uses more 'modern' words and phraseology than the KJV which came years later! The KJV uses the poetic style, "Give ear to my prayer, O God..."
The Geneva version translates the words in a more 'common' rendering, "Hear my prayer, O God". The style of the KJV makes it unique and (in my opinion), its very uniqueness makes it easier for Bible memorization.